Need additional freezer space? 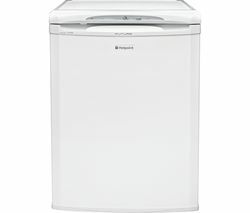 Look no further than our extensive range of Hotpoint freezers. 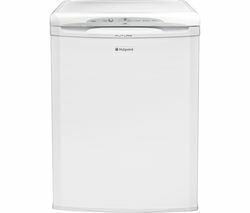 Whether you’re after a compact, easily integrated freezer that grants a few extra shelves of valuable storage or a capacious chest freezer fit for the largest of families, our Hotpoint freezer collection has a model that fits the bill. Our Hotpoint freezer range includes several under counter freezers in an array of finishes, allowing you to pick a model that seamlessly complements your kitchen. The stylish Hotpoint CTZ55G Undercounter Freezer is available in a classy graphite finish and packs plenty of storage into a beautifully compact package that'll slot straight into any room. Its A+ energy rating also ensures thrifty performance that’ll keep your energy bills low without sacrificing serious freezing power. The 260-litre capacity Hotpoint UH8 F1C G Tall Freezer offers a handy compromise between the compact proportions of under counter freezers and the sheer capacity of chest freezers. This tall, elegant freezer in tasteful graphite offers seven spacious drawers of storage, as well as frost-free technology that ensures space and air flow quality isn’t lost to ice build-up. Our complete freezer collection includes a wide choice of models from leading brands, including the latest Bosch, AEG, and Zanussi freezers.